What's old is new again. 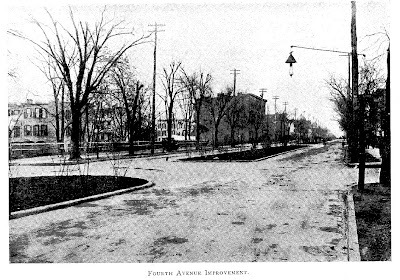 In 1902 the City was all about adding trees as an improvement. Now the City is working its way towards adding one million trees as more improvement. The photo is from the 1902 Parks Department Annual Report. My goodness, look at Fourth Avenue. I really love these old photographs. Look at all that SPACE. And NO cars! Thanks for the "historic" photo. I adore the old photos of Brooklyn, especially of my block or of blocks I know well.